The modular design, in standard variations, of the MVG series vacuum grippers gives it a high degree of flexibility with regards to format, gripping interface and vacuum pump, to respond perfectly to application requirements.Furthermore, to optimize production cycles and palletization planning, MVG grippers can be equipped with several independent gripping zones (multi-zone), ensuring multiple or staggered gripping/release points. 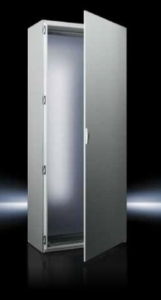 Stand-Alone Design By comparison, the Rittal SE 8 enclosure brings together the benefits of modular design and accessories with a price point that competes with unibody enclosures. Because the strength and interior mounting are handled by the roll-formed frame section of the enclosure, the SE 8 delivers improved durability and 30 percent more internal space than comparable unibody designs. In addition, the SE 8 is available in 16-gauge carbon or stainless steel, and features the standard, reversible TS 8 door to accommodate modifications over the lifecycle of the enclosure. 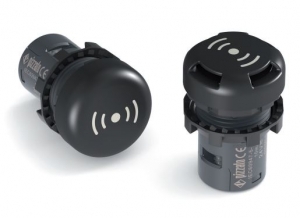 Check out Pizzato's new E6 Buzzer series from their EROUND product line - There are versions available in IP67 and IP69K with a volume range of up to 80 decibels without holes and IP40 versions that can reach 90 decibels with holes. with water jets at 100 atmosphere and temperature up to 80°C. The popular Thomson Electrak HD line of smart electromechanical actuators has been expanded to increase designers’ flexibility in handling applications demanding higher load capacity, including hydraulic-to-electric conversions. 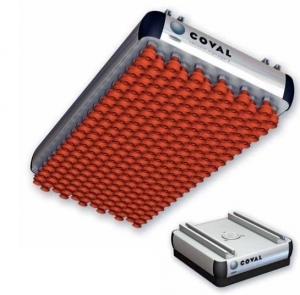 •	Higher load ranges up to 16 kN (3600 lbs.). •	Stroke lengths up to 1 m (39 in.) / 500 mm (20 in.) for 16 kN. 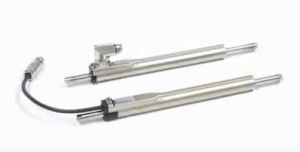 What is a tubular linear servomotor? A tubular linear servomotor is an electromagnetic direct drive in tubular form. 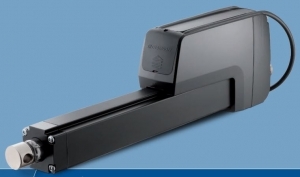 The linear motion is produced electrically and wear-free. The motors consist of just two parts; a slider and a stator. 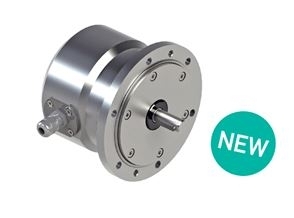 Check out LinMot's latest video, featuring introductions to the tubular linear servomotor. 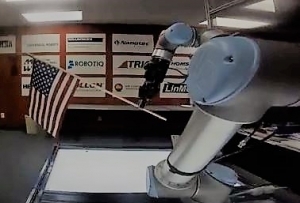 Demonstrating the capabilities of the UR5 in conjunction with a Robotiq gripper! 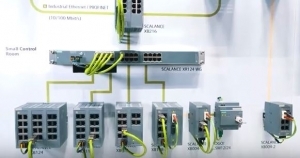 The SCALANCE X Industrial Ethernet switches feature the FastConnect for RJ45, M12 and fiber optic cables. 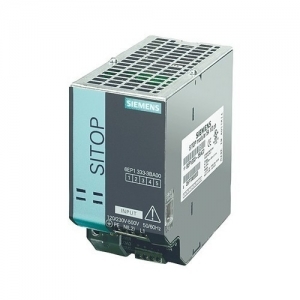 These switches offer different interfaces for electrical or optical connections as well as supporting numerous IT standards. Setting up flexible industrial networks with SCALANCE X Industrial Ethernet switches - and being prepared for future requirements at the same time such as "Internet of Things (IoT)". An extensive product portfolio offers the right switch for your network applications.